19th February 2015 – From 20th March, it’s time to party Mushroom Kingdom-style and face off against friends and family in a wide assortment of modes, boss battles and over 70 mini-games packed into Mario Party 10, the ultimate party game for Wii U that now gives players the chance to invite their very own amiibo to join the fun! Mario Party 10 is the first Wii U instalment in the revered Mario Party series, which since its debut – Mario Party – on Nintendo 64 in 1999 has sold over 39.6 million* copies globally. 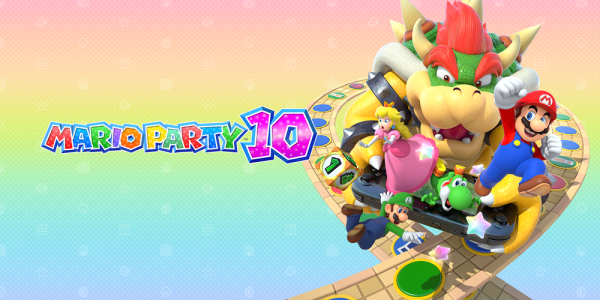 Renowned for offering fun-packed party games featuring much-loved Nintendo characters like Mario, Luigi and Bowser, Mario Party 10 is no exception, with this latest instalment in the series including gameplay possibilities for up to 5 players. While Mario Party games are famed for bringing out the competitive streak in players, teamwork is also the name of the game this time around, with Bowser Party mode pitting up to 4 players using Wii Remote controllers against one additional player taking control of the fearsome, fire-breathing Bowser using the Wii U GamePad! 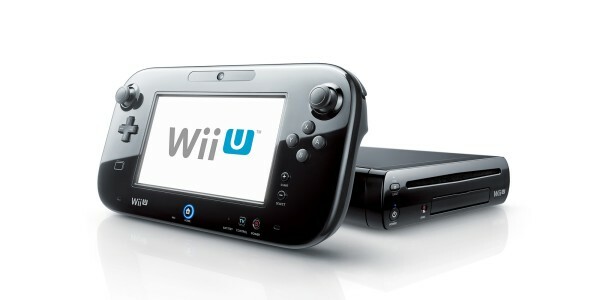 To avoid being burned, bashed or blasted away, players using Wii Remote controllers must co-operate to escape Bowser’s clutches – all the more difficult when the Bowser player can use the buttons, motion controls and touch screen of the Wii U GamePad to wreak havoc in unsuspecting ways. Nintendo’s line of interactive figures, amiibo, has already sold approximately 5.7 million units globally since launch last November, and a new game mode tailored to amiibo features in Mario Party 10. For those owning a compatible amiibo**, amiibo Party offers players the chance to bring their favourite characters to join in the fun, with up to 4 players competing on an ever-changing, interactive game board. Besides acting as a board game counter, players can use their amiibo to unlock themed boards designed in the signature style of each character, such as Mushrooms on the Mario board that make characters grow huge, or the Poltergust on the Luigi board that hoovers up the Stars of a player’s rivals. In addition, players can use their amiibo to collect special in-game Tokens that can later grant power-ups such as the ability to steal a rival’s Coins, or alter one quarter of the game board to a different character theme! Mario Party 10, the ultimate party game from Nintendo launches exclusively for Wii U on 20th March, bringing a new mode for amiibo owners to party on with their favourite character, a Bowser Party mode for up to 5 players, plus a classic Mario Party mode that is also ideal for light-hearted living room competition. As the perfect party package, a software offering comprising a packaged copy of Mario Party 10 and a Mario amiibo from the Super Mario collection will also be releasing in European stores on the same day. * Figure as of December 2014. This figure incorporates the following titles: Mario Party (Nintendo 64), Mario Party 2 (Nintendo 64), Mario Party 3 (Nintendo 64), Mario Party 4 (Nintendo GameCube), Mario Party 5 (Nintendo GameCube), Mario Party 6 (Nintendo GameCube), Mario Party 7 (Nintendo GameCube), Mario Party 8 (Wii), Mario Party 9 (Wii), Mario Party Advance (Game Boy Advance), Mario Party DS (Nintendo DS), and Mario Party: Island Tour (Nintendo 3DS). **The following amiibo from either the Super Smash Bros. Collection or Super Mario Collection are compatible with Mario Party 10: Mario, Luigi, Peach, Toad, Yoshi, Bowser, Rosalina, Donkey Kong and Wario. Crossover amiibo characters from the Super Smash Bros. and Super Mario Collection lines like Mario, Luigi, Peach, Yoshi and Bowser have the same functionality in the game, so players can choose which design they like best! For more information on amiibo launch dates in Europe, plus the full amiibo line-up, visit Nintendo’s amiibo website.